We are launching our Junior Sign Choir on Saturday 9th March 2019! Come and join us at Bournemouth Deaf Club in Pokesdown, Bournemouth from 2-3:30pm. The choir would be open to all young people aged 5-15. 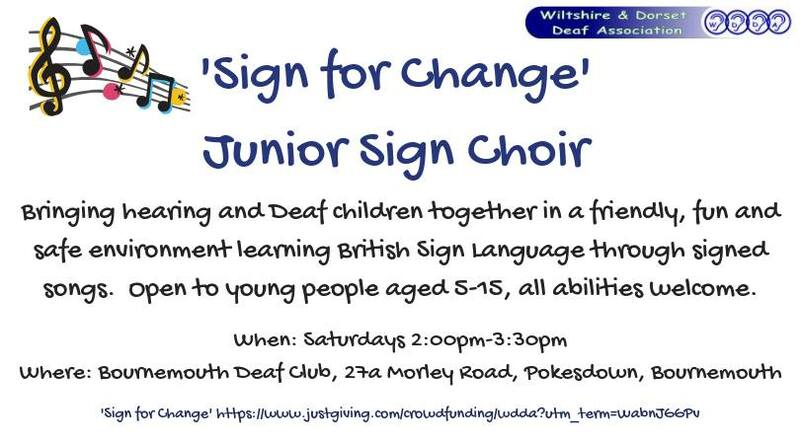 Please share this post with anyone who might be interested and email Zoe at admin@wdda.co.uk if you would like to register your interest in joining our ‘Sign for Change’ Junior Sign Choir. « Festive Fun and Filming!